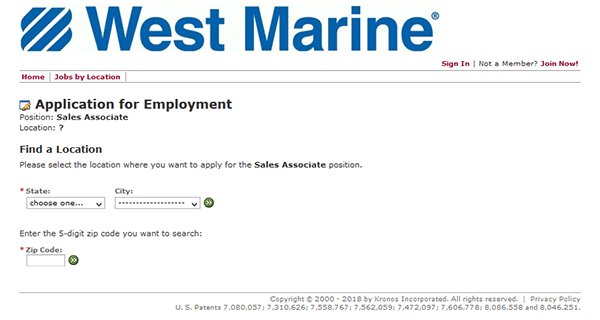 The West Marine online job application is available via the company’s careers page. Follow the links posted on this page (near the top of the page/in the instructional guide) to go to the company’s employment page. When you open the company’s employment portal you will be able to search for current job openings, register for an online account, and fill out/submit applications for any job openings that you want to apply for. 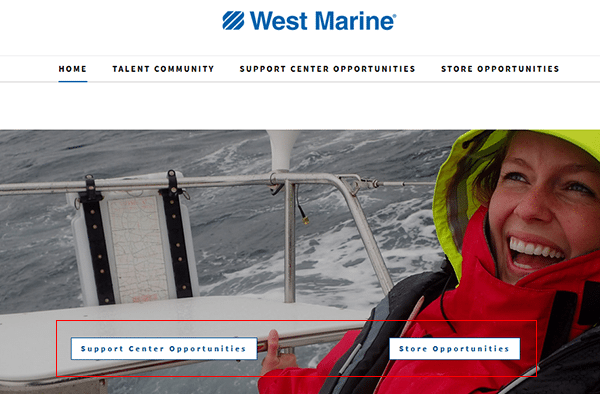 About the Company: West Marine is an American boating supply store based out of Watsonville, California. The company was founded in 1968 and operates more than 250 locations throughout the country. 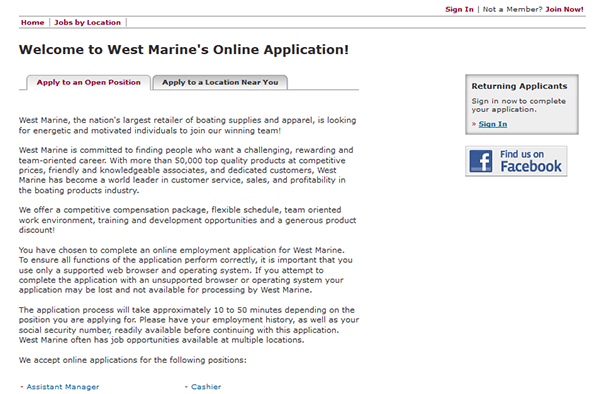 Step 1 – The first step of the online application process is to go to the company’s main careers page. Press this link to have the page load in a new tab/window. Step 2 – When you arrive to the careers page you can select between searching for retail opportunities or corporate positions. Note: This guide details the online process for retail positions. Step 3 – Click the title/link of the specific position that you’re interested in applying for. 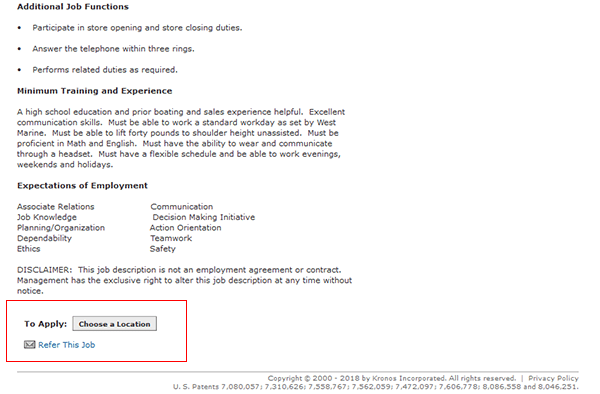 Step 4 – Review the job description, scroll down the page, and then click the “Choose a Location” button. Step 5 – Select your State/City from the two drop-down lists OR enter your zip code into the input field. Click the search icon to load the list of retail locations in your area. Step 6 – In order to continue with the application process you must create an account. Use the registration form on the right side of the page to complete the account creation process. 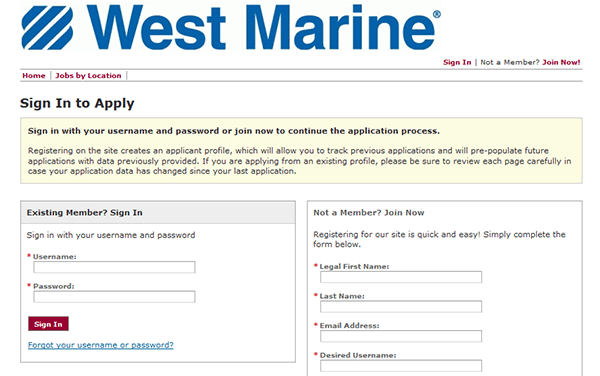 Step 7 – After you’ve registered a new account you will be able to start filling in the online application form. Submit any/all required details for each subsection/step of the form. After the form has been fully completed you will be able to submit it for processing.